These cookies are oh-so-good! They have a nice, crisp exterior, but have a soft and fudgey center. It took all I had to not eat the entire batch! These are made without butter or eggs and I mixed them up in one bowl (my food processor actually). The cookie dough ends up being really thick. I first tried to mix it in a mixing bowl with a spoon, but was having a hard time pulling the dough together the way I wanted. So, I dumped it all in my food processor, gave it a few pulses, and the dough came together quickly and perfectly! It was so easy to scoop onto the baking sheet. We’ve been eating pretty darn clean around our house and we were just itching to have a sweet treat. 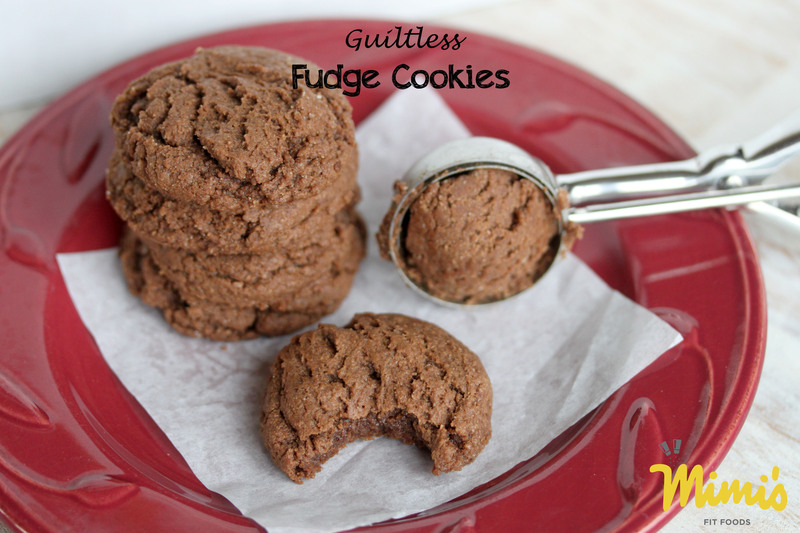 I’ve had these on my mind, and with them being healthier than a traditional cookie, I whipped them up. These certainly took care of our sweet tooth without breaking the calorie bank. That being said, the cookies are SO good that you might not believe they are as low-cal as they are. These are sinfully chocolatey. They are a chocolate-lover’s dream. Next time you’re craving chocolate or something sweet . 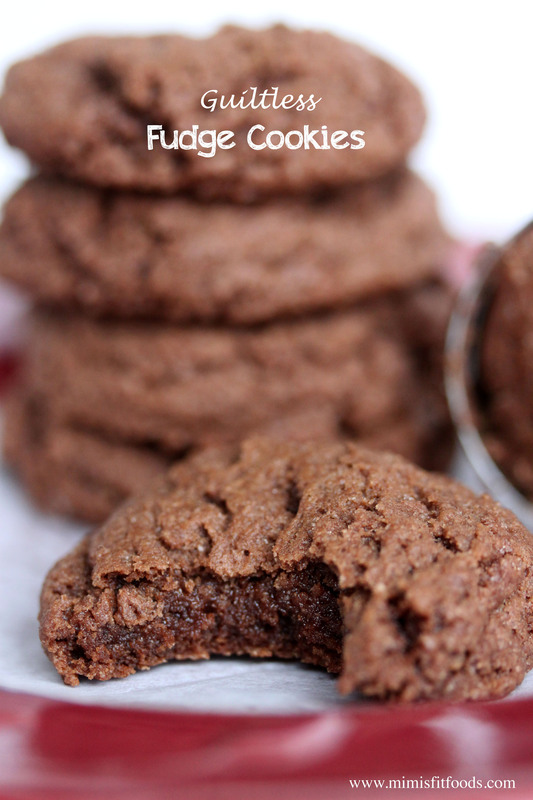 . . give these a try instead of the typical full fat cookie. I can about guarantee you won’t be disappointed! Preheat your oven to 350 degrees. Line a baking sheet with parchment paper or a Silpat liner. Makes 24 cookies if dropped by level tablespoons. Makes 16 cookies if dropped by a 1 1/2 tablespoon cookie scoop.